PASADENA, Calif., January 15, 2019 (Newswire.com) – Lotus Clinical Research, a specialty analgesic full-service CRO, has announced the addition of Robert (Bob) Dworkin, Ph.D. as Director of Chronic Pain Research. In his new role, Dr. Dworkin will lead Lotus’ current chronic pain research programs and work to expand Lotus’ chronic pain expertise and capabilities. 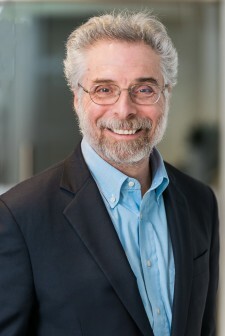 Robert H. Dworkin, Ph.D., received his BA from the University of Pennsylvania and his Ph.D. from Harvard University and has served as a consultant to over 160 pharmaceutical and device companies in the development and evaluation of analgesic and antiviral treatments. He has been the principal investigator for a large number of clinical trials funded by government and industry, which have examined treatments for various types of chronic pain, including painful diabetic peripheral neuropathy, low back pain, osteoarthritis, cancer pain, fibromyalgia, and postherpetic neuralgia, as well as treatments for acute post-surgical pain and shingles pain. Dr. Dworkin has spent over 35 years conducting clinical research on acute and chronic pain. In addition to his position at Lotus, he is currently Professor of Anesthesiology and Perioperative Medicine, Neurology, and Psychiatry, Professor in the Center for Health + Technology, and Director of the Anesthesiology Clinical Research Center at the University of Rochester School of Medicine and Dentistry; Director of the Analgesic, Anesthetic, and Addiction Clinical Trial Translations, Innovations, Opportunities, and Networks (ACTTION) public-private partnership with the U.S. Food and Drug Administration (FDA); Special Government Employee of the FDA Center for Drug Evaluation and Research; and Associate Editor of Pain and a member of the Editorial Boards of Canadian Journal of Pain and Journal of Pain. The primary focus of Dr. Dworkin’s current research involves the identification of factors that increase the assay sensitivity of clinical trials to detect differences between an active and a placebo control or comparison treatment. In ongoing studies, he and his colleagues are examining the relationships between clinical trial results and their research designs, patient characteristics, statistical methods, and outcome measures. Dr. Dworkin has also been very interested in the identification of risk factors for the transition from acute to chronic pain. In joining Lotus Clinical Research, Dr. Dworkin is responsible for leading chronic pain development efforts and assisting with further building our CRO infrastructure to further expand our resources and drive anticipated growth.